With the first images of Sochi coming across our television sets, millions the world over have gotten a glimpse at a Russia we’ve never known existed. Of course the frozen Siberian tundra and pop culture images from James Bond films, and the World War II/Cold War eras are conjured. But we forget that it’s 2014 and Russia is the largest country in the world – its borders span farther south than the frigid Arctic Circle. Sochi is located in the Krasnodar Krai federal subject, in Russia’s Southern Federal District. It sits on the east banks of the Black Sea, mere miles from the border with Georgia. It is one of the southernmost points on the Russian land that juts south between Russia and the Ukraine, a far cry from the frozen tundra we’re used to knowing. It sits south and west of the Caucasus Mountains, encircled perfectly to host a series of winter sports events. Sochi is a mid-sized city, with a population of nearly 350,000 people, a slightly smaller population than that of New Orleans, La. As of the last census-taking in Russia, it is the country’s 52nd most populous city. Sochi residents should by now be prepared for the expectation of more than 120,000 spectators filling in the Olympic complex each day. Having experienced a similar regular influx of people for events like LSU football games in Baton Rouge, La., and the Presidential Inauguration in Washington, I can tell you that this often brings traffic, tension and irritation, but it also has the potential for some pretty great memories and cultural experiences. As mentioned, Sochi enjoys some pretty warm temperatures for what we’d expect from Russia (it’s 50 degrees as of this typing), and it’s Russia’s largest resort town. Nearly two million people visit annually, and regularly hosts tourists and Russians looking for a break from daily life, as well as a prominent Russian film festival. The city has hosted a major sporting event before – the Silk Way Rally road race – and will also host the Russian Grand Prix Formula One race later this year, with the 2018 FIFA World Cup coming its way in 2018. 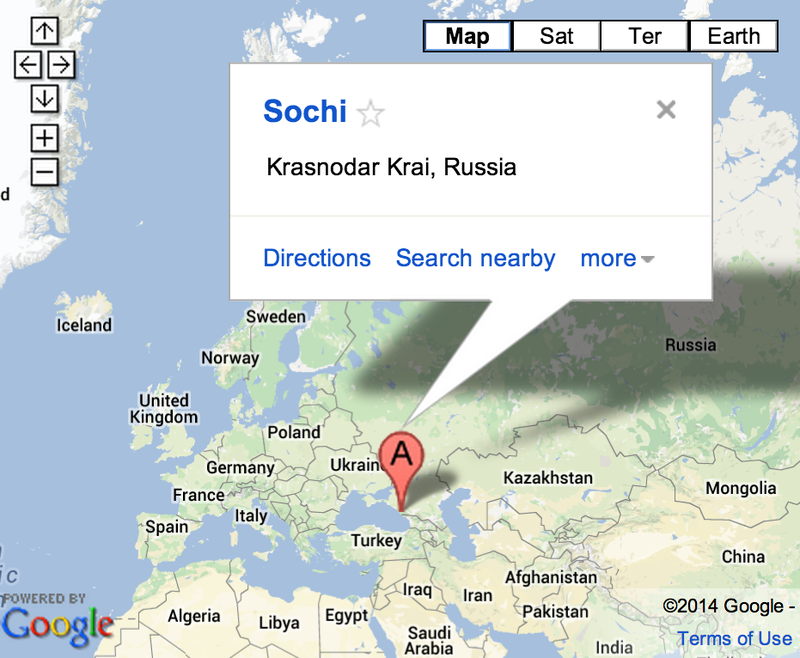 Sochi is in the Moscow Time Zone (UTC+04:00), nine hours ahead of the United States’ East Coast. So expect some early morning watching or set your DVR and enjoy the prime time coverage. Here’s some more By the Numbers facts pulled together by NBC New York.